A new design, new handling, new mobility. With the MAN TGS range you experience reliability pure and simple. The powerful common-rail engines and perfectly matched gearboxes unfold a superb driving performance with very good consumption values. Solutions for city-, countryside- and long-distance travel. 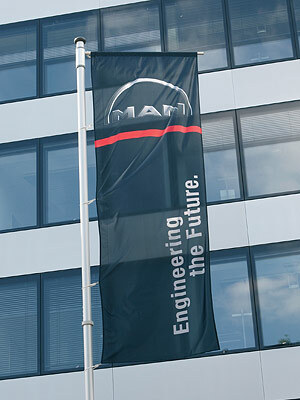 Engineering the Future - since 1758: focused on the key technologies transport and energy, MAN provides you with numerous products, services and solutions. 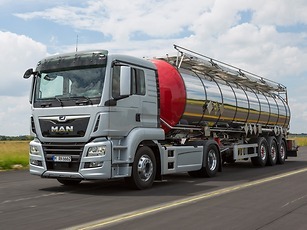 MAN Truck & Bus is one of the leading international suppliers of commercial vehicles and transport solutions. 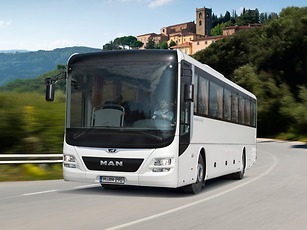 Its products and services range from trucks through city and intercity buses and coaches (entire buses and chassis), right up to support and financial services covering all operating aspects of MAN vehicles. Additionally, MAN offers diesel and natural gas engines for on-road and off-road applications. MAN Diesel & Turbo is your strong and reliable partner for drives and energy solutions – from gensets to two-stroke engines for giant container ships, from power units to turnkey diesel power plants, from single compressors and turbines to complete machine trains for various industrial applications. Where and how are MAN products developed? Take a look at our production sites throughout the world and find out more about the production, quality and sustainability of our vehicles, engines and machines.